"Build The Parallax Elev-8 Part 1." "Build The Parallax Elev-8 Part 2." 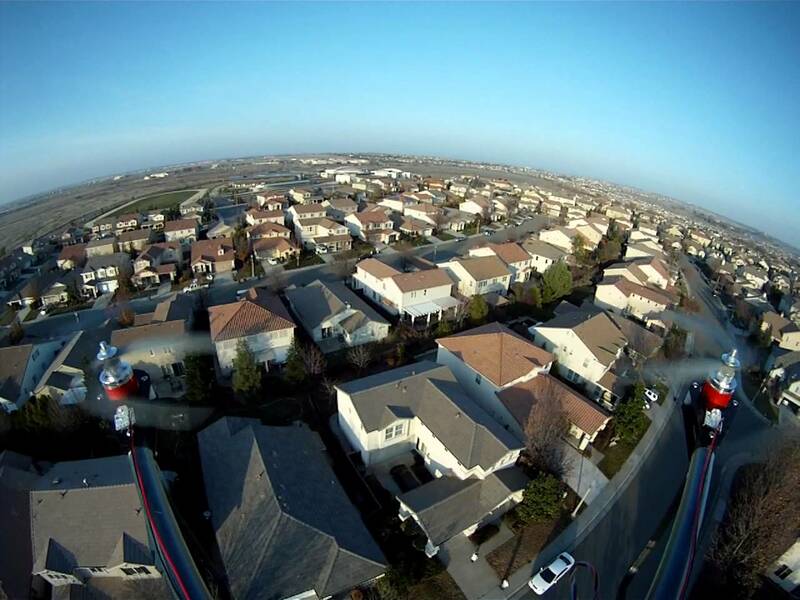 "Tips for First Time ELEV-8 Flyers." "Five Lakes, Granite Chief Wilderness." Hoverfly OPEN Users Guide (.pdf). Hoverfly Open Board Schematic (.png). ELEV-8 Info and Assembly Guide (.pdf). 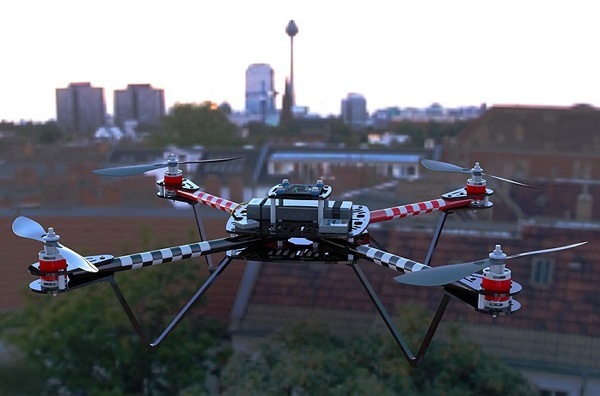 The ELEV-8Quadcopter is a flying robotic platform that is lifted and propelled by four fixed rotors. There are no fixed wings; all of the lift is created from the rotors. Unlike standard helicopters, the quadcopter uses fixed-pitch blades, whose rotor pitch does not vary as the blades rotate; control of vehicle motion is achieved by varying the relative speed of each rotor to change the thrust and torque produced by each. 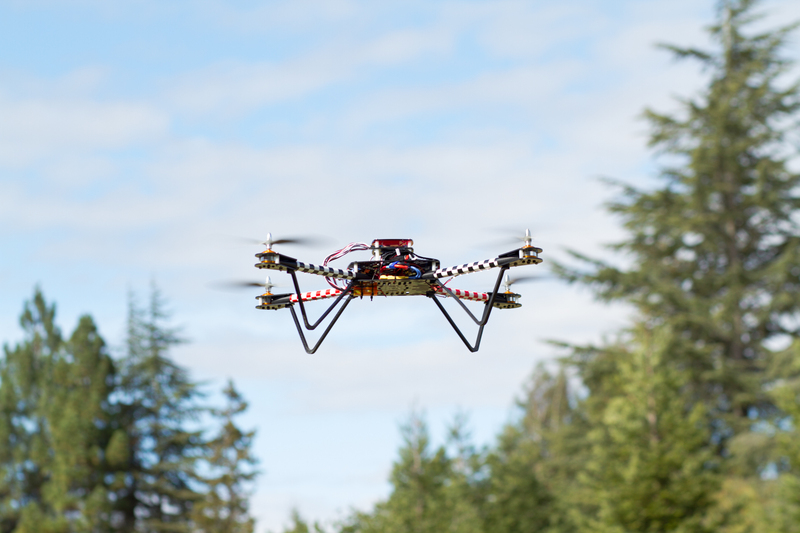 Aircraft stabilization is electronically controlled by the HoverFly board with Parallax's Propeller multicore microprocessor. The benefit to this system is a stable platform with no mechanical linkages, for a small, maneuverable, and agile aircraft. This kit provides a durable way to get involved in the advanced quadcopter arena. The kit includes; frame, mounting hardware, motors, speed controllers, propellers and the control board for flight stabilization (the only thing you need to provide is the RC radio equipment and a battery). We recommend a six channel RC radio. 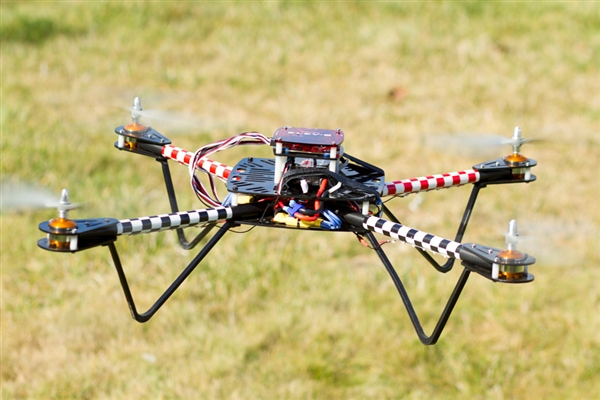 The ELEV-8 platform is large enough for outdoor flight and has plenty of room for payload and attachments (up to 2 lbs). NOTES: This kit is not for beginners, it requires a moderate amount of mechanical skill to build and fly. 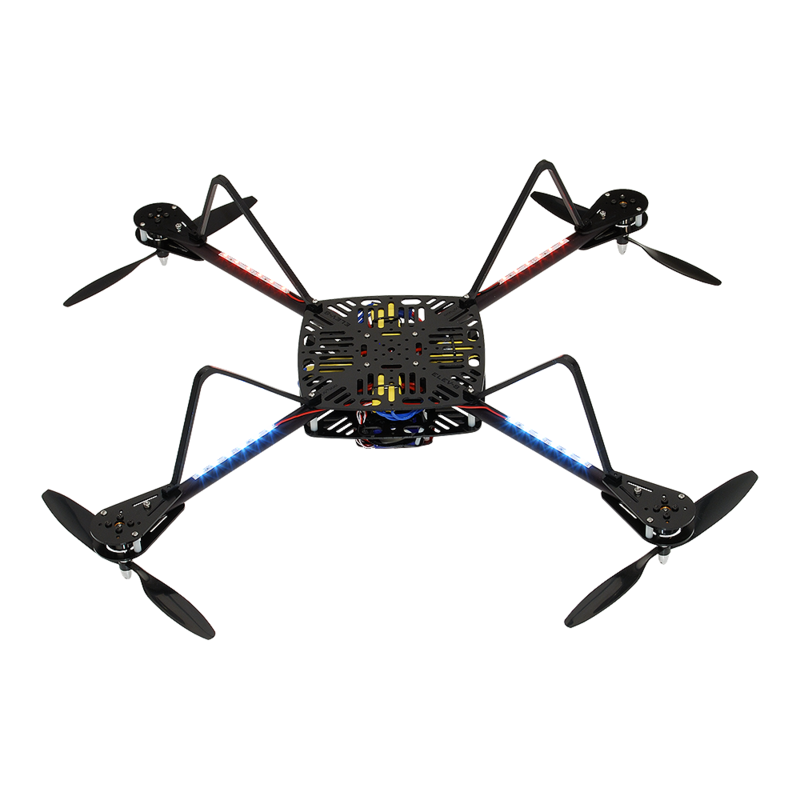 The ELEV-8 quadcopter kit requires an average of 8 hours to assemble; RC experience is highly recommended. Open underbody for accessory and camera mounting. Open source design files are available for you to download and use. Modular frame allows for fast repairs and swapping of parts. High strength chassis keeps your electronic components safe and protected. Uses common 4-40 hardware that can be found at most local hardware stores. Light weight of 2.5 lbs fully assembled (without battery). 2 - Gem Fan 10x4.5 Composite Propellers. 2 - Gem Fan Composite Pusher Propellers. 4 - Gem Fan Plush mount 30A ESCs. 4 - Gem Fan A2212-13 1000kv motors. 4 - Anodized 6061 5/8" - .035 aluminum round tube. Included Propeller based HoverFly controller board to controller flight. ​​NOTES: Kit requires RC control and receiver with at least 6 channels. We suggest the Spektrum DX6i and receiver kit show in Available Options. 18 3/8" (467 mm) motor center to motor center -- 20 1/4" X 20 1/4" (514 mm) -- Main body/frame 7" X 7" (177 mm) -- Height 7" (177 mm). WARNING/DISCLAIMER: Due to the size of this platform, it can cause serious damage or injury. There is no protection around any of the propellers. We recommend using the RCAPA guidelines for safe use of this aircraft. Disclaimer of liability: Parallax Inc., Nurve Networks LLC, iConstruX.com are not responsible for any special, incidental, or consequential damages and personal injuries, including that to life and health, resulting from the customer’s application and use of any Parallax Inc., Nurve Networks LLC, iConstruX.com products. You, the customer, assume full and unlimited responsibility for all customer ELEV-8 Quadcopter applications and uses. 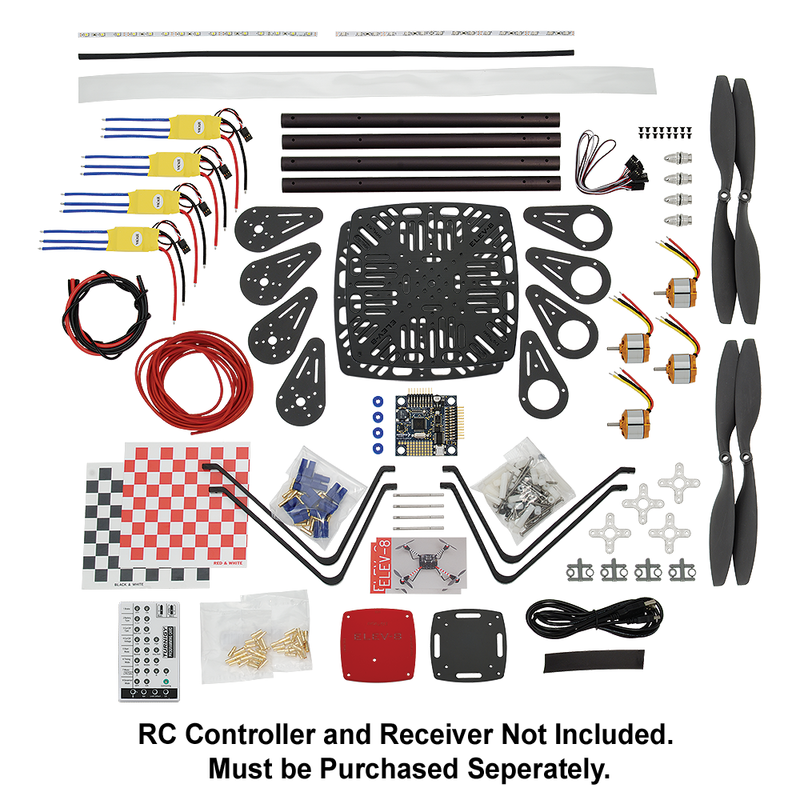 This KIT doesn't provide any R/C equipment thus you have to buy this separately. 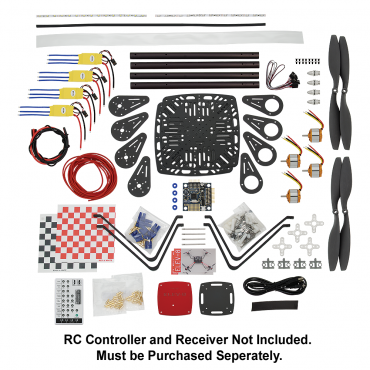 If you are not familiar with R/C transmitters and receivers we suggest you few that are suitable with this kit. 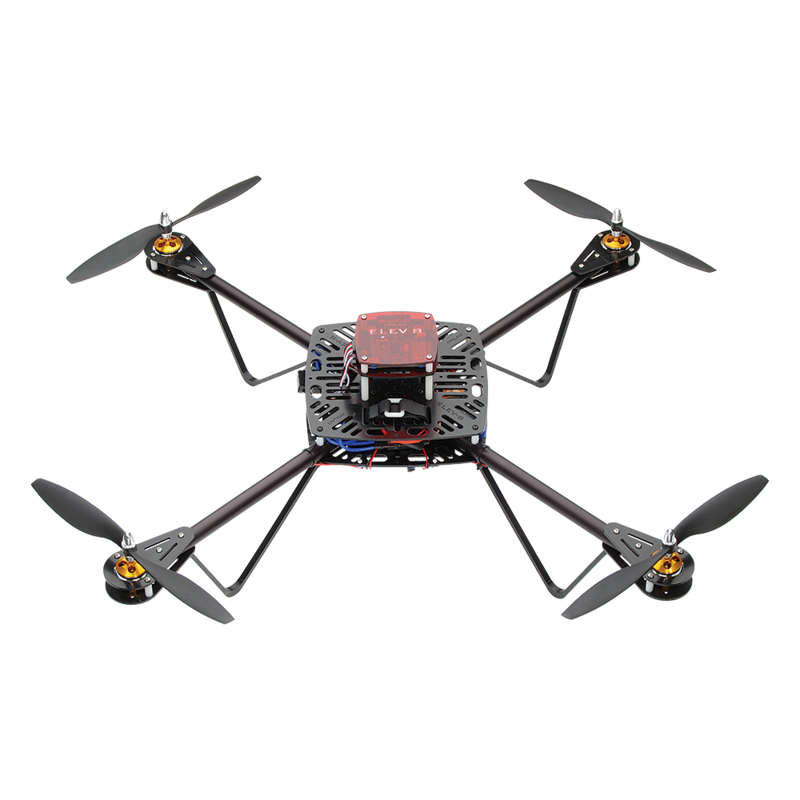 Just look at this link to our article on ELEV8-Quadcopter R/C equipment here.